Tags: Antique Print, Rafflesia flower. 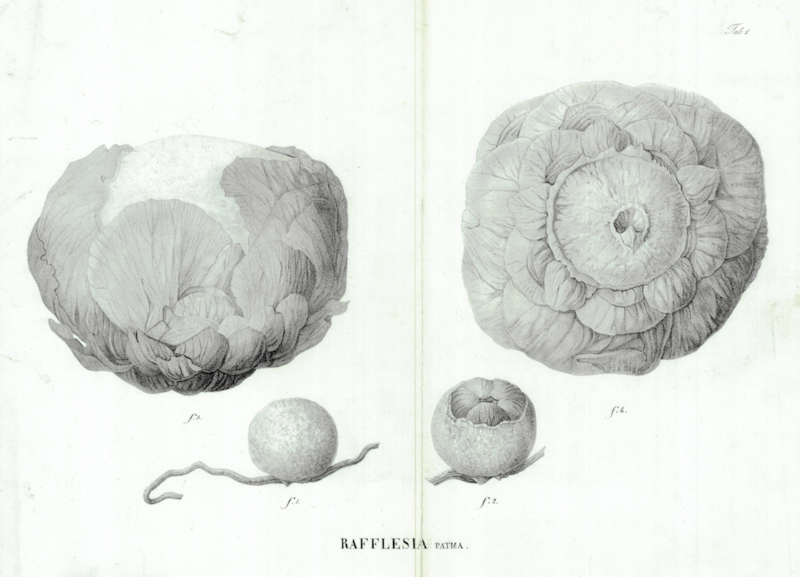 Set of 3 rare botanical prints of the famous Rafflesia flower, published in 1828. 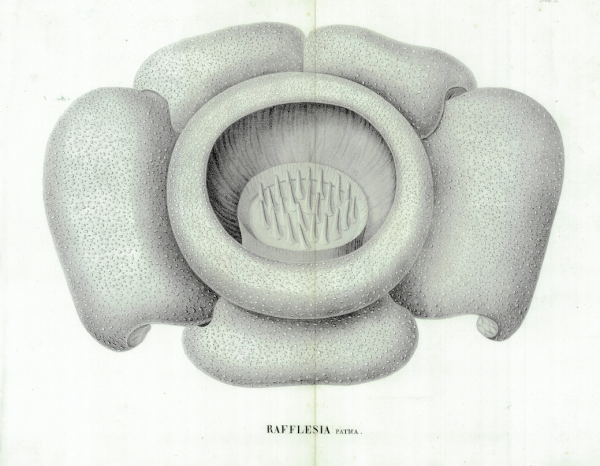 The genus Rafflesia is named after adventurer and founder of the British colony of Singapore, Sir Stamford Raffles. Rafflesia patma is a parasitic plant species of the genus Rafflesia. 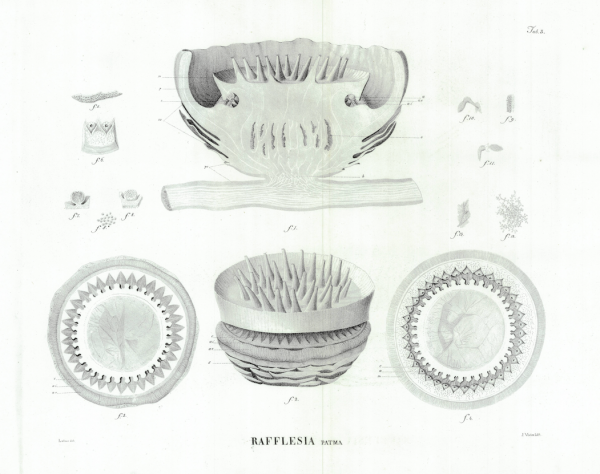 It was first collected from the Indonesian island of Kembangan, located off the Indian Ocean coast of Java. It is noted for producing the largest individual floweron earth. It has a very strong and horrible odour of decaying flesh, earning it the nickname “corpse flower”. It is endemic to the rainforests of Sumatra. Although there are some plants with larger flowering organs like the titan arum(Amorphophallus titanum) and talipot palm (Corypha umbraculifera), those are technically clusters of many flowers. Rafflesia arnoldii (Indonesian: padma raksasa), also called Kerubut (Devil’s Betelnut Box) is one of the three national flowers in Indonesia, the other two being the white jasmine and moon orchid. It was officially recognized as a national “rare flower” (Indonesian: puspa langka) in Presidential Decree No. 4 in 1993. The name is derived from patma, the Javan vernacular name of the plant. Dimensions: 550 x 440 mm. (full plate).